We strive to be a world-class, innovative, student-focused, and research-intensive learning community that advances businesses, governments, and societies. We prepare individuals to excel in their careers, engage in their communities, and meet the challenges of the global business world through our innovative, research-based education and outreach. The Paul College holds the distinct honor of being accredited by AACSB International (The Association to Advance Collegiate Schools of Business), the premier accrediting agency for business schools, worldwide. AACSB accredited schools confirm their commitment to quality and continuous improvement through a rigorous and comprehensive peer review. Only 560 schools internationally have met or exceeded AACSB's strict standards to be awarded this elite accreditation. AACSB International accreditation assures stakeholders that business schools: - Manage resources to achieve a vibrant and relevant mission. - Advance business and management knowledge through faculty scholarship. - Provide high-caliber teaching of quality and current curricula. - Cultivate meaningful interaction between students and a qualified faculty. - Produce graduates who have achieved specified learning goals. Hospitality Management at the University of New Hampshire is also accredited by ACPHA (Accreditation Commission for Programs in Hospitality Administration). ACPHA accreditation has two fundamental purposes: to assure the quality of the program and to assist in the improvement of the institution or program. 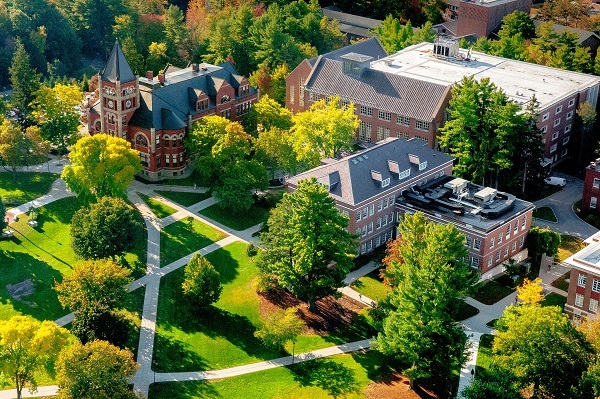 All UNH programs are also accredited by NEASC, The New England Association of Schools and Colleges. NEASC, the nation's oldest regional accreditating agency, serves more than 2,000 public and private institutions in Connecticut, Maine, Massachusetts, New Hampshire, Rhode Island, and Vermont, as well as American international schools in more than 60 nations. NOW ACCEPTING APPLICATIONS FOR FALL 2017!! Our new and innovative curriculum was designed specifically to accelerate your progress through this highly-ranked AACSB-accredited MBA program. We do this by integrating courses, identifying key skills and concepts necessary for success in business, and then helping you to master these skills and concepts through class discussions, cases, guest lectures, and projects. The program includes a New York Residency, a Corporate Consulting Project, and an International Residency.